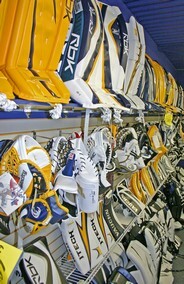 At St. Albert SFS, we have professionals to size you up and fit you with the best equipment for all of your puck stopping needs. 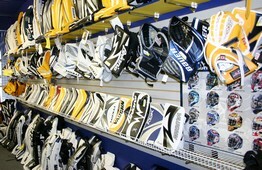 As well, you can maximize your mask with a custom paint job from St. Albert SFS! Meet the challenge in the rink this year with sports equipment from St. Albert SFS! Our team of professionals will help bring your team to victory!